Oil & Fuel Spill Kits are a excellent spill responder that will absorb any hydrocarbon spill such as petrol, diesel, fuel, solvents and oil, but repel water. This makes them ideal for any Oil & Fuel Spill on land or water. 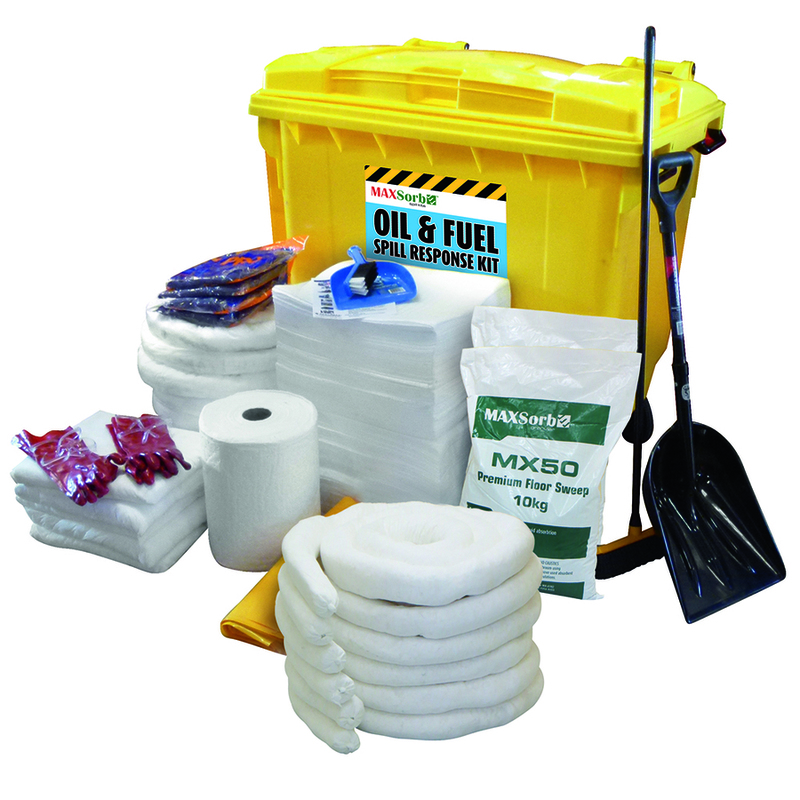 Whatever size your potential spill is, we have the right size kit from the 240L Oil & Fuel Spill Kits to the handy 40L carry bag Spill Kit. 1 x product instruction sheet including re-order form.